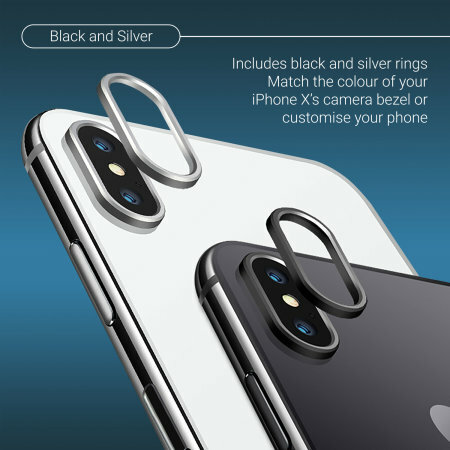 Protect your vulnerable iPhone X camera with these Olixar black and silver metal camera lens protector rings. They fit easily and perfectly on to your camera to provide extra protection in the event of drops and impacts without affecting your photography. Your iPhone X isn't vulnerable because its made from weak materials, far from it. It's vulnerable because, in order to keep the phone slim yet provide an incredible camera it has to protrude - and quite a bit as it happens. What this means unfortunately is that the camera is going to get more than its fair share of any damage. What can you do about this then? Well, you can use a heavy duty case that extends beyond the depth of your camera. That's a good solution. But how about just going straight to the heart of the problem and adding some protection to the camera lens itself? Olixar have an option perfect for the job - Aluminium alloy rings that slip stealthily over the outside of your camera to provide ultra-thin yet robust protection. Made from an ultra-thin, lightweight and strong piece of Aluminium alloy, the camera ring is the accessory you'll never notice is there but be grateful that it is. The metal alloy is strong enough to repel and resist most damage it's ever likely to face. 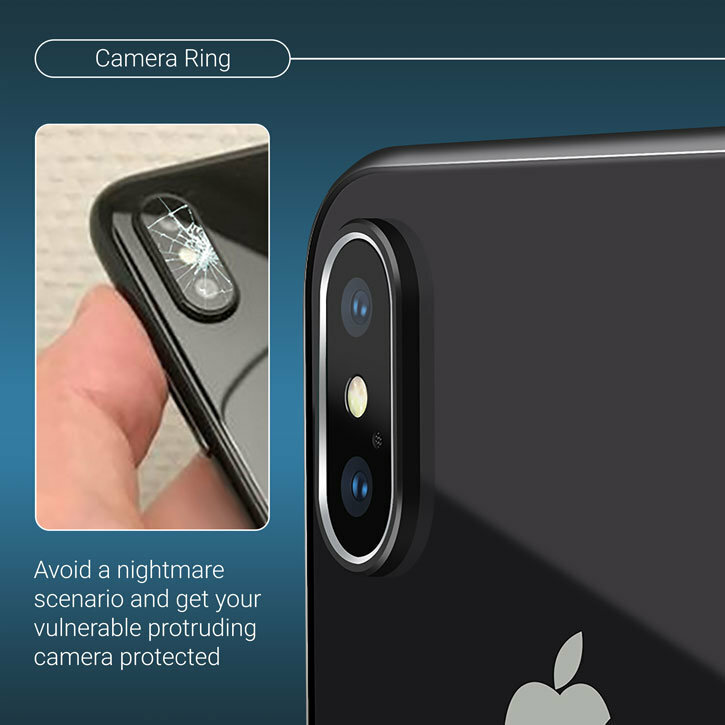 Avoid the nightmare scenario of a smashed camera lens and keep your stunning iPhone X's camera in action. It works by adding a distance between the lens and the outer rim of the ring. This means the lens itself should never touch a flat surface and thus risk scratching. The pack contains 2 camera rings - 1 silver and 1 black. This means you can choose the colour that matches your iPhone X or perhaps choose to customise your phone with the opposite colour for a unique effect. The ring is so precisely engineered it would just fit to your lens anyway, but the adhesive will keep it there for sure. You can remove it easily enough if you want to but rest assured there's a firm hold and you can fit the ring in seconds with the minimum of fuss and not a tool in sight. 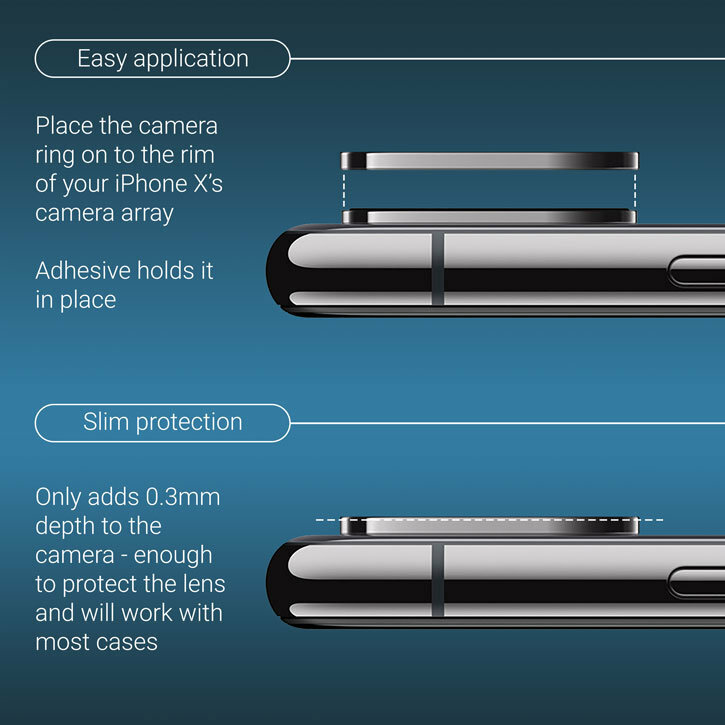 The ring only adds about 0.3mm depth to your camera and about the same all around the circumference so most cases will still fit. 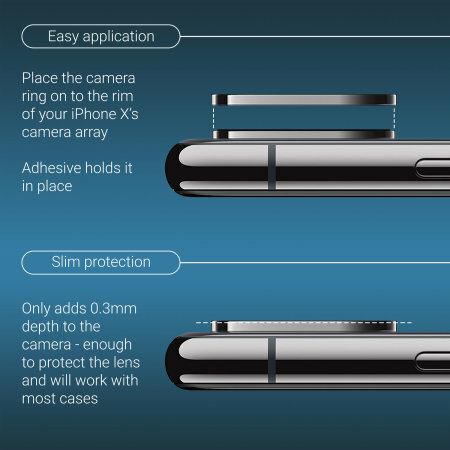 In fact, if you have a very slim case that does not extend past the depth of the camera then you could argue that the ring becomes essential. 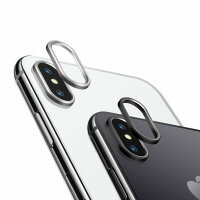 Designed specifically for the iPhone X's camera, the Olixar Cameral Lens Protector offers a perfect fit and is designed to work in partnership with your phone. Your photography will not be affected in any way and all functions should perform as normal.